Ok, let’s take a deep breath here and find out why you have to get out and keep busy. Our vulnerable patients or clients should not be the steps on which you climb to your happiness. I asked her one question and it was like opening the top of a shaken coke as she told me about her situation and why she so badly needs to join us. It turns out that her husband is in a nursing home, is declining and the staff at the nursing home told her to go volunteer, it would be good for her. (Maybe they are getting weary, I don’t know). She told me that she was at his side four and five days a week. Based on her experience with her husband, she thought she could do some good for someone in a similar situation. She looked exhausted, emotionally and physically. She appeared fragile, and her emotions welled up during her pitch. 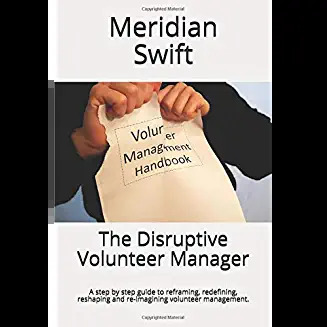 I asked her if she had tried volunteering at something completely different from her situation, trying gently to explain that spending her free time with people who reminded her of her husband would be burdensome. I asked her about volunteering in schools or with animals. She said she had tried other volunteering but it wasn’t “it”, didn’t help, and made her feel depressed. Upon further questioning, she said she volunteered with an animal shelter, but her job was to take the puppies to local nursing homes. She also volunteered for meals on wheels, taking meals to elderly shut ins. That made her feel horrible. We parted with an invitation to come back sometime in the distant future. If experience serves me correctly, she will probably never come back, or do so many years after her husband dies. I could be way off on this one, but hey, it’s a guess. It bothers me when people advise others who are going through some rough patches to “keep busy by volunteering” for the organization they are currently being helped by. Well intentioned people need to realize, not only does the person volunteering risk magnifying their situation, but they risk using other clients as cry towels or mood boosters. 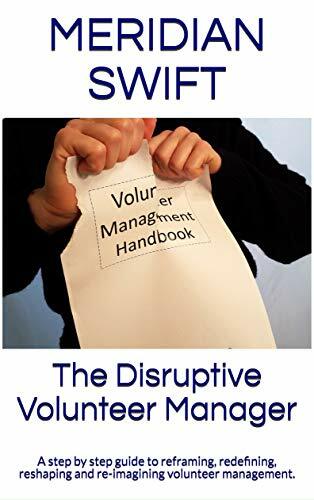 It’s not fair to anyone in these situations, not even the poor volunteer manager who has to sort it all out and keep real harm from happening. Yes, volunteering is good for you, but not when it’s only a salve for a wound. The wound needs to heal properly or that volunteer will bleed all over the clients.